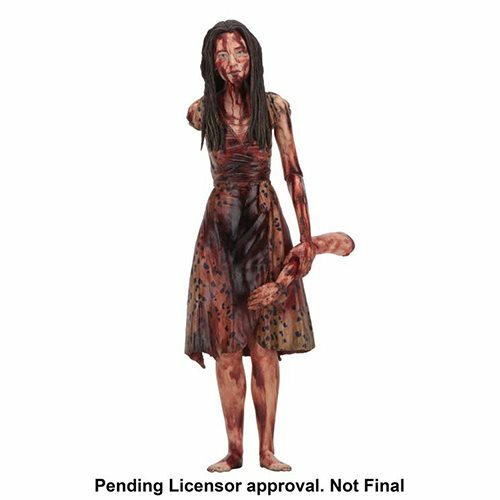 From the hit Starz TV series America Gods, based on Neil Gaiman's bestselling modern fantasy novel, comes the American Gods Laura Moon 7-Inch Scale Action Figure! Based on her appearance after she is brought back to life by Mad Sweeney's lucky coin just in time to kill the mob trying to lynch her husband, Laura stands approximately 6-inches tall and features the likeness of Emily Browning. The figure comes with interchangeable hands, feet, and a detachable right arm.